There goes a bit of the suspense. Senzel will be the headline here. 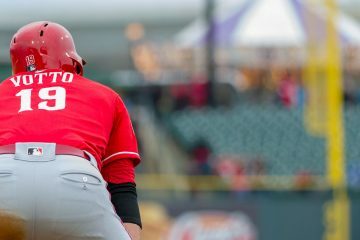 But the Reds also sent Cody Reed, Sal Romano and Phillip Ervin down. The Ervin demotion means they’ll likely go with four OF (Yasiel Puig, Scott Schebler, Matt Kemp and Jesse Winker) at the start. That will create space for both Derek Dietrich and Jose Iglesias while still having 8 pitchers in the bullpen. Check back for more on this today. So will they carry 9 relievers until they need a 5th starter? We all know Puig was here to stay this year (and maybe longer) based on how the FO and PR team have trotted him around this winter. All do respect to Matt Kemp the Reds can’t afford him either way after this year. I understand he is a veteran bat and a good player, but that spot should have gone to Senzel or Ervin. After that stunt, I would never sign a extension in Cincinnati. Or in Ervin’s case it doesn’t matter if your the best hitter in spring training, same for Farmer. I guess they lied when they said it would be the best 25. For the record, every one of the Reds beat writers was wrong about Nick Senzel making the Opening Day roster. There was never a “best 25 players” case for Senzel to make the Opening Day roster without a great spring. He did well. But Scott Schebler did better. Spring either counts or it doesn’t. Either way, Senzel hasn’t proven **right now** he’s better than Schebler. Obviously, that could change, even quickly. But it’s not obvious Senzel move was driven purely by service time manipulation. Very true. Especially with Phillip Ervin going down at the same time. A player still having options looks to have played a small role in all this too. Nobody has been DFA’d yet. Yet. Steve, do you expect to see Senzel on the Reds by mid-April? I have been wondering what they would do in this scenario where Senzel is sent down at the beginning of the year. Do they bring him up in mid-April (when service time isn’t a concern) for their 13th pitcher? Do they send Schebler down? Or release Kemp or Dietrich (and eat a salary)? Barring injury or a poor performance from Schebler or Winker (who both have options) there doesn’t seem to be an easy path to get him back to the roster. I have been hoping Senzel would make the opening day roster, but given that he won’t, I’m not sure he immediately gets called up. I think we might be waiting for a spot to open up, which could mean May/June or even July. I don’t like it, but unless Senzel absolutely tears the cover off the ball in AAA (i.e. is one of the top 5 hitters in the international league) and plays solid CF, he might be down for a couple months. I don’t know. I don’t even have a good guess. I suspect it will depend on how Scott Schebler does in CF. 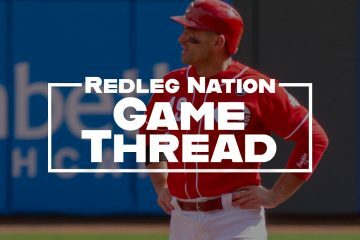 If Schebler plays well, then where does Senzel fit? As great of an offseason as the front office had, the one thing they never fixed was to find a definite spot for Nick Senzel. They’ve tried to trade Scooter Gennett. That would have done it. But with the market for Gennett just not there, that didn’t happen. I don’t think Senzel’s demotion is about service time. There is zero evidence right now that Senzel is a better CF than Schebler. Time in AAA for him to get used to CF is valuable. We’ve gotten carried away about the idea of Senzel without fully processing how limited his experience is in the OF. Ironically, it’s the “best 25 guys” thinking that caused Senzel to get sent down. If the Reds were still in rebuilding mode, they could have gone with an inexperienced CF. Don’t think Hal McCoy was wrong. The odd man out is Nick Senzel, who should be returned to Triple-A to play second base to take Scooter Gennett’s place next year. Totally agree Steve. Schebler went out and earned it. Now, the question is next year: who plays CF and 2B? The 40-man roster will be easily resolved, even without a trade to move a player off the 40-man roster for prospect(s). As already observed, Trahan and Finnegan can easily be DFA and Blandino could be moved to the 60-day IL if necessary. I don’t see why everyone assumes that we can’t keep Matt Kemp after this season. Regardless of how well he hits at GAPB he’s going to be a 35 year old free agent 4th OF/DH/BENCH bat only type player. If he falls in love with Cincinnati and the team (and fans) adopt him, I think we should be able to make a very competitive offer without even coming anywhere close to breaking the bank…. I think it’s possible that the Reds could resign Matt Kemp, but mostly because I don’t know if he’ll have very many contract offers. Like you said, he’ll be a 35 year old bench bat. That’s not very appealing. He might provide slightly above average hitting. He’s a liability on defense though — maybe one of the worst defenders in the game. He’s really suited as a DH (so if there is a rule change – maybe). I wouldn’t hate it if he had a decent year and they signed him for $3M next year (as long as there is room for Senzel in the starting lineup). But I think it is unlikely. Whatever the semantics, team executives won’t directly acknowledge service manipulation because of possible ramifications….get the extra year of control on Senzel. -other teams doing it to their star prospects (Bryant, Buxton, etc.) because the current system allows it. -the Reds are in a division where 2 teams will likely have them financially outgunned in any given season (should they choose to spend)…Chicago/St. Louis, and the other 2, at the moment, are as good or better than the Reds. Beyond Spring Training stats not being a reliable indicator, combine early off-days and Senzel’s send down…and the first 2 weeks or so feel like a “get-through it” period with an unsettled lineup/rotation for the Reds. The starting CF decision has been made with Scott Schebler the last man standing. the decision to send Senzel AND Ervin to AAA is interesting. The Reds now have no backup CF among the remaining position players. Those 2 decisions speak volumes about the DW/NK/DB management of Baseball Ops. DB was vocal in his support of Nick Senzel as the starting CF on opening day. We know know that DB, and by default DW & NK, are not afraid to reevaluate any decisions as more information and details emerge. That represents a complete reversal of the unyielding, stubborn process for the last decade. YES!!!!!!! The only backup CF on the roster now is Lorenzen, a relief pitcher. That will require detailed, planned game and roster management. DW/NK/DB are not only willing to face that task, they seem to actually relish and welcome the opportunity. YES!!!!!!! Agree. I’m not concerned about the CF situation. Schlebler can handle it for a few weeks. If he goes down, Lorenzen finishes the game and they call up Senzel. If he leaves his bat in Arizona, they call up Senzel. Puig can play center too. So it’s not like a relief pitcher is their only option. Peraza has played CF in the past, as has Puig, so they do have backup options. Senzel being sent down was the smart move with the whole service time thing, and Ervin is a bench player, so I have no problem with the decision. Maybe. Both have had experiments in CF and both proved to be bad defensive options in CF. Of course Ervin has also proved to be a bad defensive CF, so it is certainly possible that the Reds are planning on relying on an emergency CF for in-game necessity with Senzel just a phone call away for any need extending beyond just an in-game replacement. Now that you’re mentioning bad defensive options in CF, um, Scott Schebler is our opening day CF. I know defensive stats aren’t great. But I’m going there anyway. Last year, there were 124 OF with more than 250 PA last year. Schebler, Winker, Puig, and Kemp were all in the bottom 25% of that group in defensive runs above average. Yikes! No question that the Reds OF defense needs significant improvement, but Scheblers CF defense is much better than his corner defense. His speed allows him to pay a better CF defense and he gets a better read of the ball off the bat. Schi, I disagree on principal that an outfielder can be better in CF than a corner. If Schebler’s not great in RF, then he’s not great in CF. Schebler certainly has the speed to be a good OF, but he isn’t. Disagreement is not a bad thing, on principle or otherwise. The defensive statistics, limited as they are, indicate that Schebler is a better defensive CF than corner OF. Schebler has also stated that he is more comfortable playing CF than corner OF. It seems counterintuitive, but if a fielder has the speed to play CF (required), CF can get better reads on the ball coming off the bat and CF doesn’t have those angular walls and corners to deal with nor the side walls to deal with. Now that Schebler will be getting consistent, regular playing time in CF, I’m anxious to see how he performs and how the defensive metrics treat him in a larger sample. Only 4 starting pitchers are needed until April 6th at Pittsburgh and again on April 17th at LA. 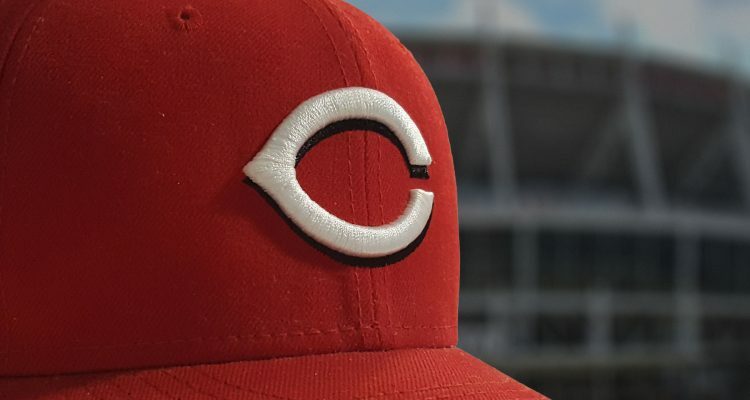 Wood should be ready to start by April 17th, so the Reds That makes planning for a one-game promotion from AAA and back to AAA for a starter (or reliever). This allows the Reds to carry an 8-man bullpen and still have the option od a 5th utility player for the bench. Senzel needs to go to AAA and play 2b. End the OF experiment. He’s a GG caliber infielder and great hitter. I said this elsewhere, but it’s worth repeating here. Man I really don’t like the call to send Senzel down. This is the kind of thing a young man will not forget. We can try to blame shift and say the rules allow it, but things that are permissible are not always profitable. We would be naive to think this action will not be part of how he considers whether or not to sign an extension with the Reds down the line. And this isn’t even getting into the obvious point that there can be no argument that he is one of the best 25 players the Reds have. If they were serious about truly competing this year, they would take seriously about putting the most competitive team on the field. He wasn’t a Top 25 player on this ballclub. How is this even a conversation? I’ve deleted several of your comments in the last 24 hours. We are not going to be having comments calling people “fairies” or “douchebags”. This is the only warning you are going to get. You will get banned from commenting for more personal insults towards players or their agents or anyone else for that matter. If you want to talk like that you’re going to have to take it elsewhere because this isn’t the place for it. Everyone can complain about Senzel but i feel for Ervin. What’s a guy have to do to make the team? I know ST stats mean squat but Winker has stunk while Ervin has ripped the cover off. My oh my. Senzel’s agent is throwing all kinds of stink on the situation by calling this an “egregious” service time manipulation. He ran right to a reporter to start running his mouth. Schebler is a liability in CF. He looks like a Smurf trying to track balls in CF. Do not get me wrong, I like Schebler… he is a good 4th outfielder. We’ll find out in 6 years. I hope I’m around to witness it. That agent better hope as well, and everyone that posts here, along with Senzel. Well Scooter just got injured I wonder how that is going to affect the Reds Plans…. My prediction is one of our bench guys gets to play everyday at second base until Senzel service time is past then Senzel will play 2nd base. Was watching the game, Scooter couldn’t even walk off the field alone. Looks like he may land on the IL possibly. Shakes head. I hate having to put Senzel on my bench for my fantasy league until he is called up. I don’t have a problem with Senzel going down but its not shocking to see Schebler starting in centerfield.Nobody knows if he can or if he can’t handle the job because he has never been given a chance which is what this team has done sooooo many times other then with Peraza.I never have got the whole service time thing because teams lock up their best long before that 6th or 7th year anyway but again I know little about it.Stats may have been the reason in the battle for center but if Winker was battling for a job in left then Ervin and just about every other outfielder was better so I still say spring stats are used when needed.Reed going down and Peralta still here(did I miss something) is a shocker to me and yes I know we signed Duke and had Garrett but that move,after Bell said he was a reliever well you know. I bet they still want Reed and Ramano to develop as starters while they have options. I love how Bell said he didn’t put much into spring stats. Seems like almost every decision has come down to spring stats so far. Maybe other than Winker. So mad about Senzel going down. Everyone boycott the Reds Games until Senzel is called up. Kidding…..
Looks like Senzel picked the wrong agent. Not only unprofessional, it’s embarrassing cry-baby behavior. Take it to the MLPA you dunce. Not that it would matter, as we all know, but the last thing the Reds need is some ‘Lavar Ball’ type mouth-off whining to the media cuz his “boy” didn’t make the team. And if Senzel is gonna hold a grudge, so be it. People need to grow up. Parasite agents especially. Just to be clear: manipulating service time is against the rules. But it’s impossible to prove it’s happening unless a team comes out and says it – which is why they don’t ever actually say it. So “take it to the MLBPA you dunce” is a very stupid thing to say. They can’t do anything about it because it’s already against the rules. Uh, I was being sarcastic or trying to be. Who knows, perhaps accusing the team of unprovable foul play in a statement to the press was the smart thing to do? Come on Doug, do you not think that saying a fellow Red’s fan comment “is a very stupid thing to say” is coming close to the line? 1. The Senzel demotion makes sense relative to his future in CF. Both Schebler and Ervin are better options in CF RIGHT NOW. Senzel to AAA to get more comfortable in center may change that before long but I have no problem with him getting those reps in AAA given what we saw from Schebler and Ervin this spring. 2. If Scooter is truly hurt, Senzel should start the year in Cincinnati, at 2nd base. Maybe he’s the CF of the future, but he’s definitely the best 2nd baseman in the organization if Scooter is out (and I actually think he’s better than a healthy Gennett but that’s a different matter). 3. If spring results don’t matter, why is Wandy (Zero ERA) Peralta heading to Cincinnati instead of Cody Reed. I’d much rather have Reed in the bullpen than Peralta. 4. If Reed is in Louisville he definitely needs to get as many starts as possible. No bullpen there please. He’ll be needed in the 2020 rotation, and if one more starter goes down soon, before that this year. The more starts he gets, the more he’s stretched out, the better he gets, the more valuable he becomes to the Reds. Start Cody Reed! In 3 years of starts for the Reds, I cannot remember any of them leaving me with the thought that he is a MLB starter. That ship has sailed. If he starts a game this year, it’ll be because we have 5 pitchers on the DL. Your argument lost credibility when you said Senzel was better than a healthy Scooter. If you think he will put up the numbers that Scooter has over the last 2 years, then you need to be on a plane to Vegas to bet the NL rookie of the year futures. I agree that Senzel is an all round better player than Scooter. The past is the past. Senzel may eventually be a better player then Scooter. Assuming both are healthy. In 2019 though, Scooter is the better player. We will obviously have to wait until late May to find out. I believe the number of games is 11 at minimum. The rest has been said here and elsewhere. The agent really screwed up IMO. Start Cody Reed? Groundhog Day! But not nearly as funny. I don’t feel bad for Ervin at all. He had plenty of opportunities last year to earn a starting job as an everyday outfielder and he just plain laid an egg. He seemed uninterested a lot of the time and made too many mistakes. If nothing else this is a great opportunity for Schebler. He’s got power and he can run. He’s pretty good vs lefties. I thought for a while last year that he might really run with the leadoff position and give the Reds a Charlie Blackmon’esque threat there for a few years. He just can’t seem to stay on the field or out of slumps? If Scooter is hurt then Senzel gets his shot anyway. What I don’t get is this? We’re 6 days from Opening day and Scooter is still leading off and they’re running out pitchers like Powers and Strahan? Senzel is probably just the regular control ploy. When we are talking about the 24 and 25th guys on the main roster, those are rarely key players. That said, I believe Dietrich is understandable. Key defensive flexibility with him and seemingly, at least from ST, lose nothing with the bat. But, Jose, I don’t understand as much. Colon and Jose has similar career stats, as in nothing major sticking out (one doesn’t have a 300+ average while the other bats Hamiltonian). Both play multiple positions, but Colon has played more at his 2nd and 3rd positions that Jose. This spring, Colon has shown a better bat. If I were the Reds, I can’t help thinking I still try to trade off Kemp. I mean, Ervin has really been turning it on, I believe. He batted great this summer. And, he would cost the Reds a lot less this year. And, the Reds still have control of him. It’s not a question that I don’t think Kemp can’t do the job. I believe Ervin deserves a position. Straight OF, I would have gone with Ervin over Dietrich. Ervin is a 5th OF at best. Kemp is a borderline HOFer coming off an All Star season. The idea that you would play Ervin or even Winker over him is laughable. Play Kemp until there out of it this year, and hopefully Trammell will be ready by 2020. Problem solved. Borderline HOF on his last legs. Those players aren’t much better than anyone else. That’s one reason why Kemp has floated around so many teams recently. No one wants to pay that kind of price for that kind of production. He’s old and will wear down quickly but I suspect he can do alot of damage in Apri/May and maybe afterwards is spotted correctly. I want to see Winker play as well, but Kemp might get first shot? If they’re not in the race then he could be dealt somewhere.